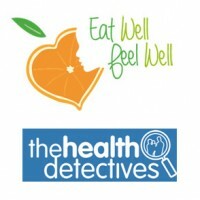 You are here: Home › Blog › Introducing The Nutrition Detectives! Amy from ‘Eatwell-Feelwell‘ and Lise from ‘The Health Detectives‘ are teaming up to bring you the latest in exceptional digestive care! They have formed The Nutrition Detectives and will be running clinics here at The Ark in Haverfordwest every Friday from the 6th of November. Do you suffer with any digestive issues? Optimum digestion is essential to achieving health – and not just gut health! The whole body needs an abundance of good quality nutrients in order for it to function properly. Unfortunately modern diet and lifestyle can lead to digestion being impaired resulting in a myriad of health issues.